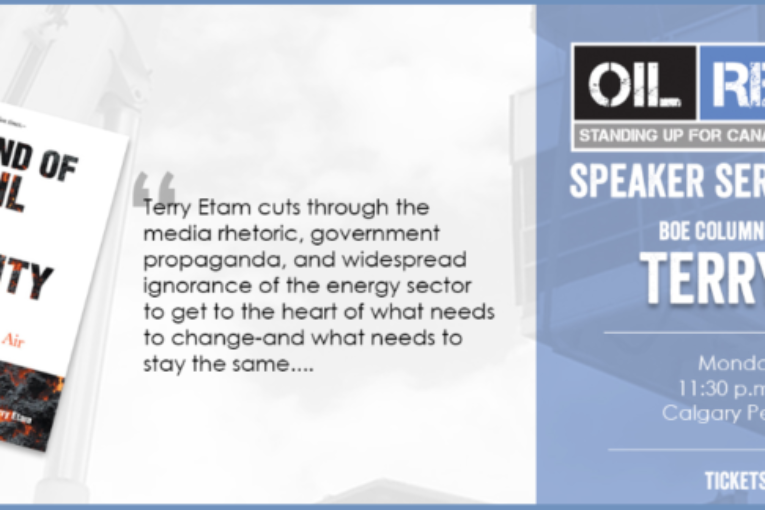 BOE report contributor and author Terry Etam will be joining us for lunch on Monday April 29 to discuss his book, of The End of Fossil Fuel Insanity: Clearing the Air Before Cleaning the Air. Terry is a veteran oil and gas consultant whose pithy prose and no-nonsense takes on today’s energy issues have won him numerous fans inside and outside of the industry. His goal is to kick start new energy dialogues in a constructive manner as the world faces, and begins to understand, the real challenges of moving away from fossil fuels. This event is open to CAODC members, as well as non-members.